After the Louisiana Purchase was made in 1803 where a large portion of French controlled land was bought, there was a huge movement of settlers into the new territory. A total of 828,000 square miles were purchased from France at the mere cost of $15 million (we bet France is regretting that decision today). 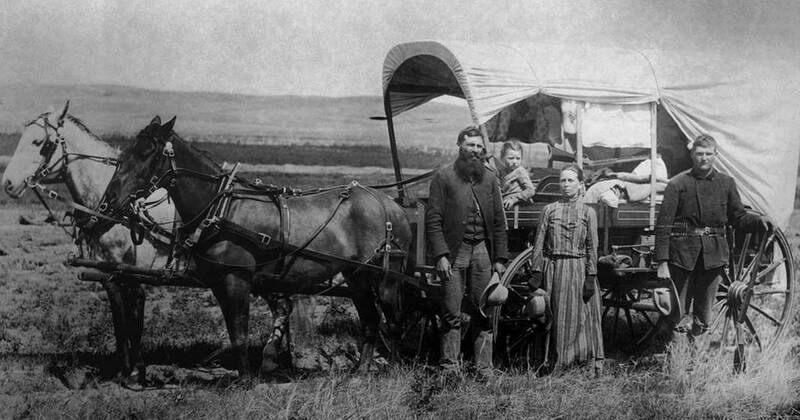 This photo pictures a family posing in front of their wagon making there way to Western territory in 1886. You have likely heard of the Pony Express which was a mail and message delivery service. The service only lasted for 19 months and it took around 10 days for letters to travel across the country on horseback. This man is Charlie Miller who is rumored to have been the last surviving member of the mail service. He later went on to perform in Buffalo Bill’s show. 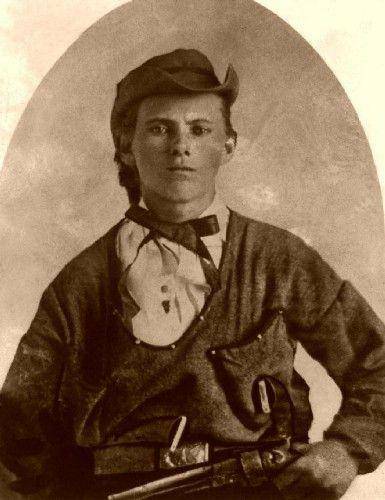 Nicknamed “Broncho Charlie” he was the youngest rider on the Pony Express at just aged 11. 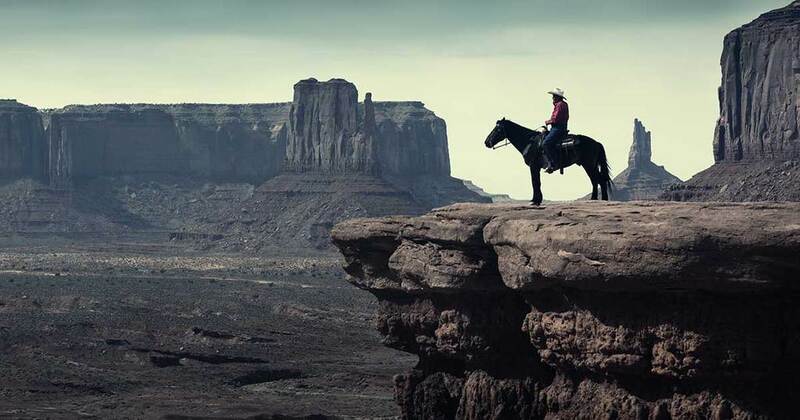 Here we see a cowboy atop his horse in Monument Valley on the edge of a precarious cliff. Located on the border of Utah and Arizona, Monument Valley is a region of the Colorado Plateau. The located is iconic and has been featured in many Hollywood films since it is the perfect Wild West location. When it’s not being used as a Hollywood film set, many visitors pass through the area on guided tours. When you think of the Wild West you may think of bandits and criminals running wild and controlling towns. 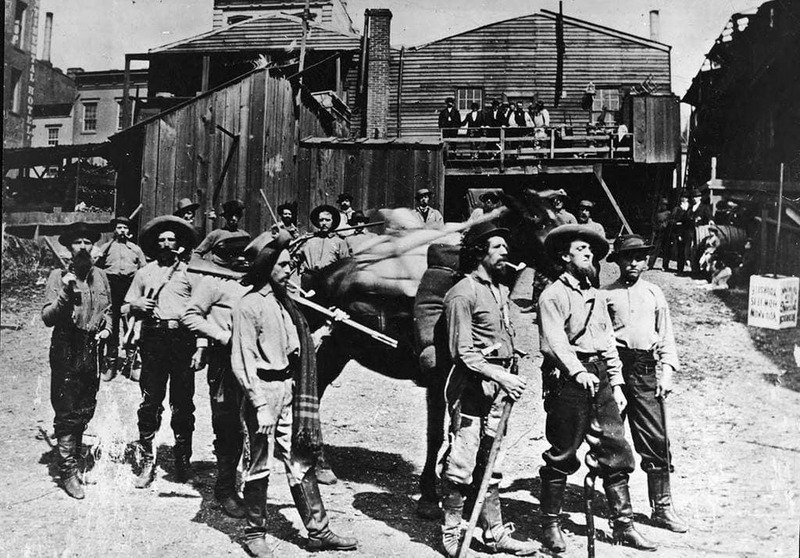 There was lawlessness in the Wild West, however, to combat it many towns implemented anti-criminal task forces. One such place was Dodge City which was notorious for high crime. The Dodge City Peace Commission is pictured here in 1883. 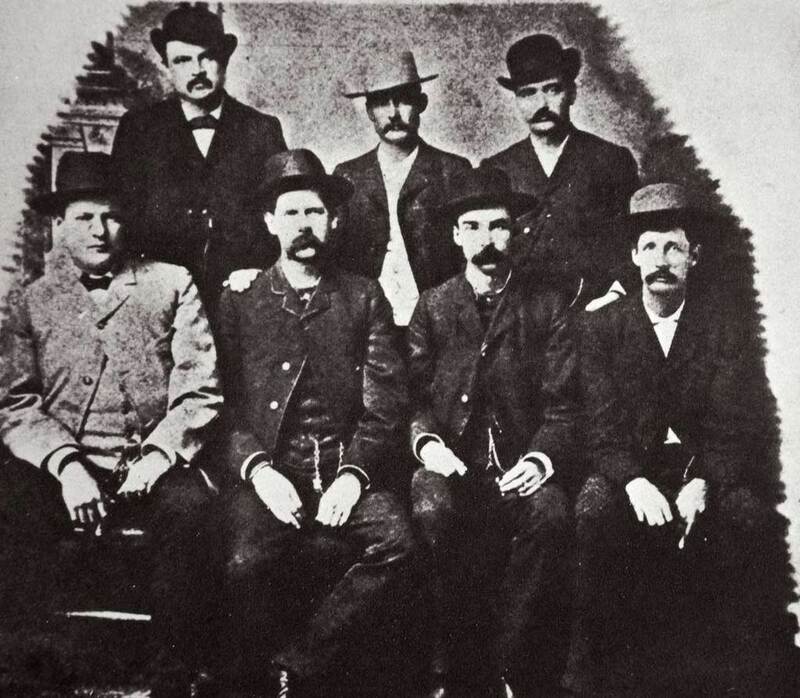 They were set up to maintain peace and order in the city and were founded by Wyatt Earp (seated second from the left). Here is a horse lovers heaven! Since the automobile was not available just yet in the Wild West, horses were the most convenient and fastest way to get around. That means that instead of car shows and dealerships, there were horse shows! 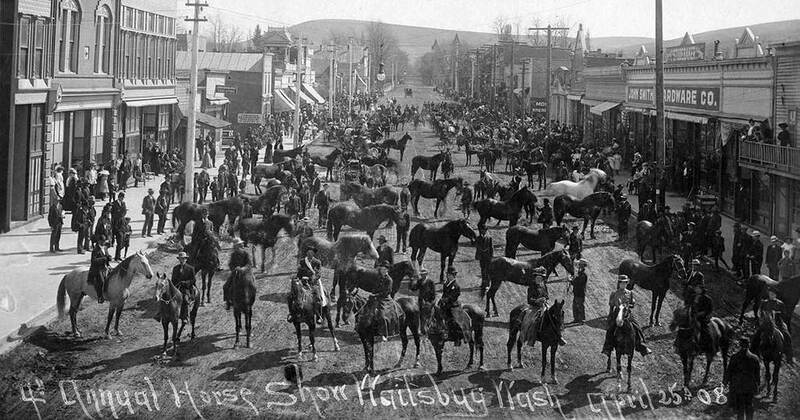 Here we see one such show which took place annually in Waitsburg, Washington. We wonder if the potential buyers were allowed to take the horses for a test drive. Here is a picture where you can see Wild West residents wearing hats other than cowboy hats. 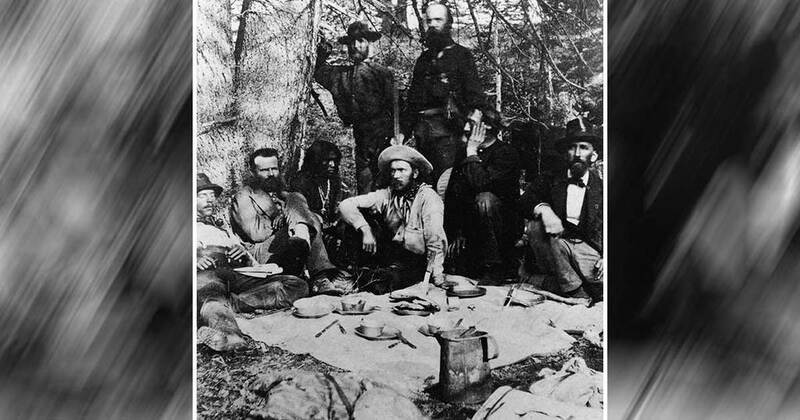 Besides the hats, something important to point out in this picture is the fact that these men are prospectors searching for gold in the Northwestern United States. This photo is thought to have been taken in 1867 although the height of the Gold Rush took place from 1848 until 1855 which led to thousands of people to risk their lives in search of fortune. In this photo snapped in 1885 we see the result of the Louisiana Purchase in full force. 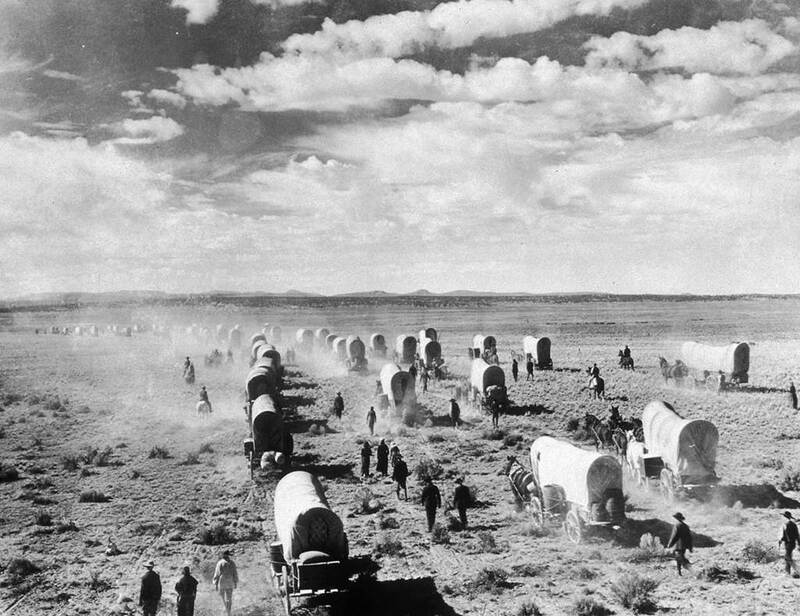 This picture shows hundreds of American settlers travelling westward across the open and very dusty plains. These adventure seeking Americas were often in search of better land and a new life. These brave travellers created new communities and put their livelihoods at risk by heading to a new and far off place. This occurred through much of the 19th and early 20th centuries. 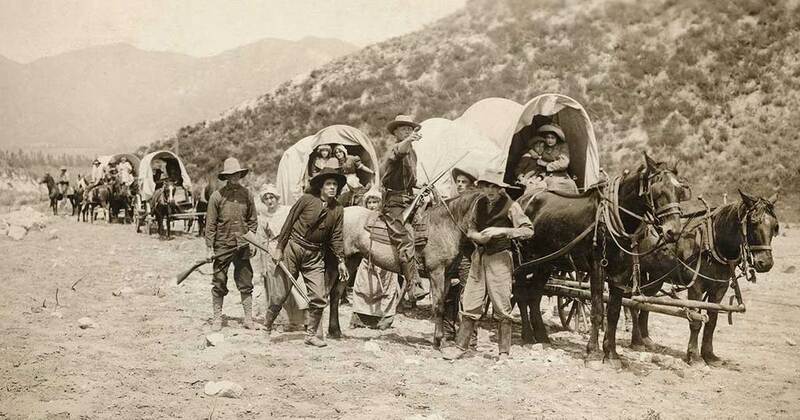 This photo is thought to have been taken around 1900 in the Sierra Nevada Mountains. 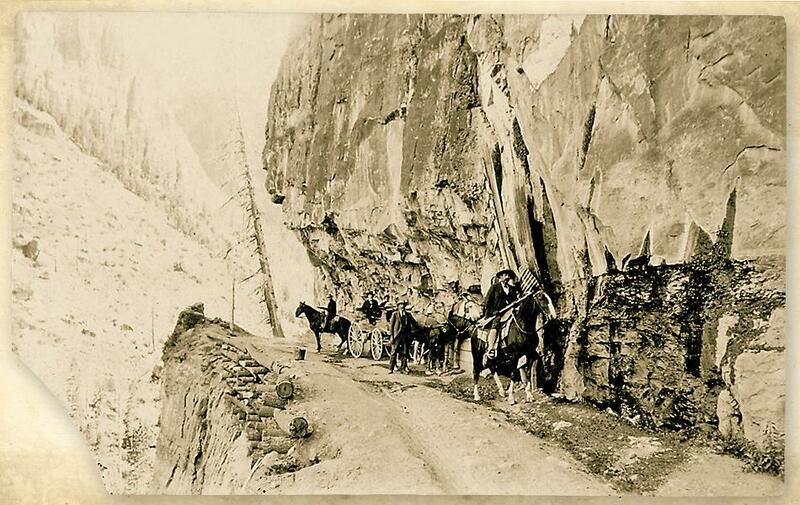 This is one of those photos that just makes you hold your breath since these men and their horses are in such a precarious position on the edge of a dangerous mountain. The passengers in this crew must have been pretty important people since it looks like they are being guided by armed guards. Maybe they were guarding some gold from California. 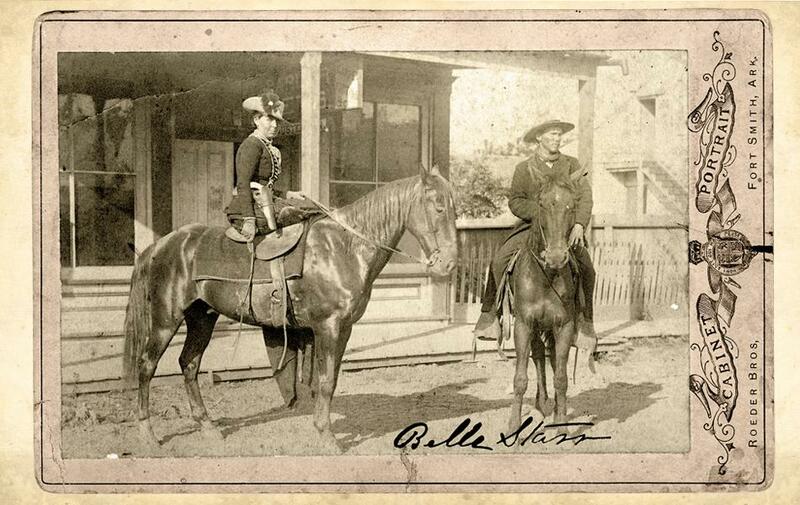 The female horseback rider pictured here is Belle Starr who lived in the Indiana Territory. 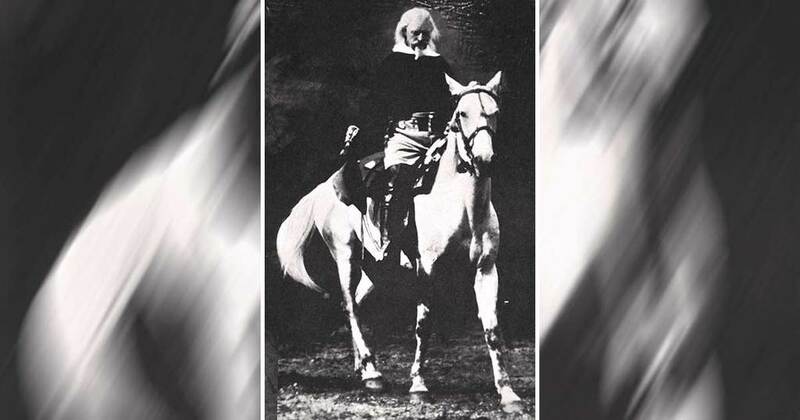 What is unique about Starr is that she had a strange attraction to bandits and outlaws. 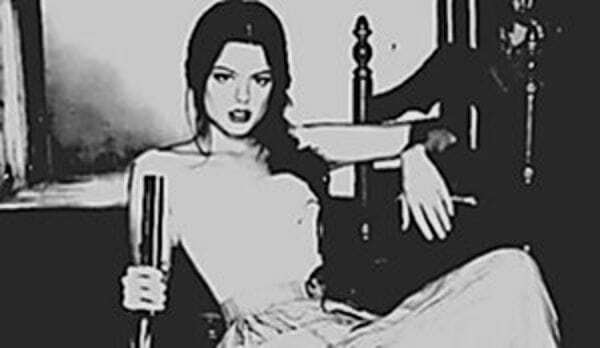 She even married a number of alleged Wild West criminals including Sam Starr and Jim Reed. 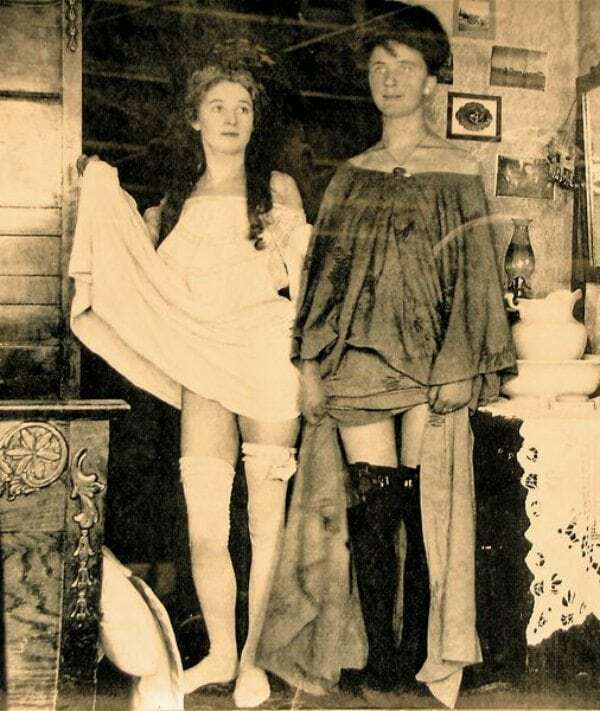 This photo was taken in 1886, just three years before Starr was murdered under mysterious circumstances. Starr was a criminal herself as she was convicted of horse theft three years prior to this photo being taken. Here we see the Canyon de Chelly located in the state of Arizona. This canyon has been home to home to human beings for over 5,000 years which includes the Navajo tribes who settled with their families and livestock in the area. 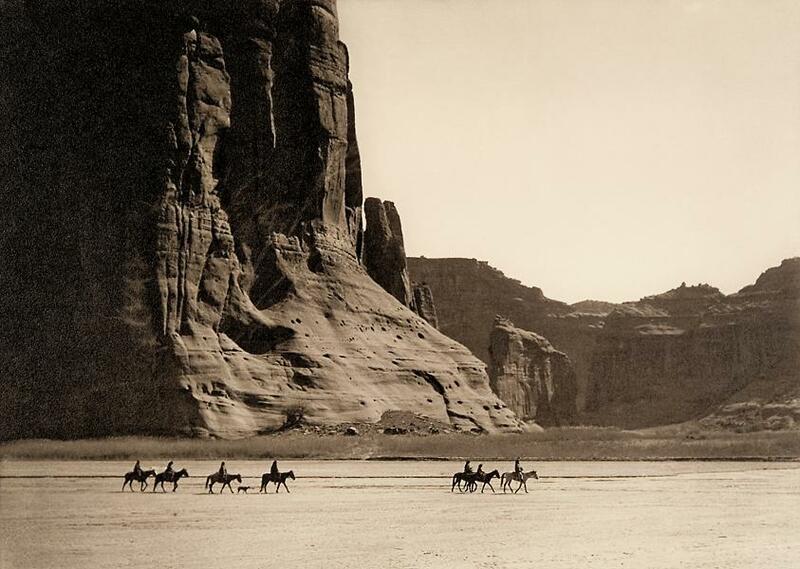 This photo, which was captured in 1904, depicts a group of Navajo riders making their way across the desert. It was be pretty hot out there with the sun blazing down and no trees for shade. No this isn’t the Jesse James who was once married to Sandra Bullock, This is Jesse W. James, a known outlaw. James has sometimes been referred to as the Robin Hood of the Wild West who stole from the rich and gave tot he poor, however, there is no evidence for this claim. 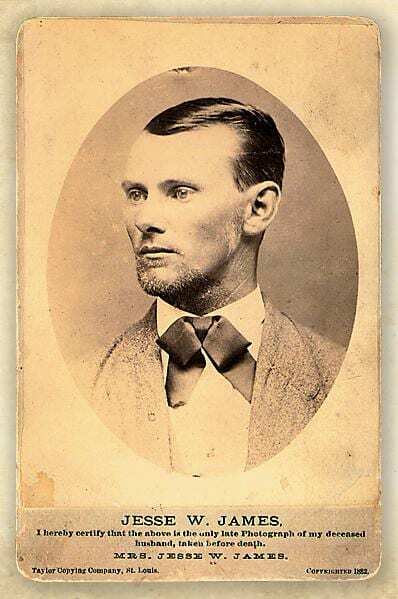 He was the leader of the James -Younger Gang, a group of outlaws that was based in Missouri. James robbed banks, trains and was murdered in 1882. 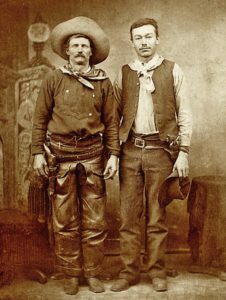 Here we see two genuine cowboys in their leather chaps, handkerchiefs and cowboy hats. The man on the left is named Charley Nebo who was a proprietor of a horse ranch who made a lasting impact on the state of Nebraska. Charley was the son of immigrants as his father was from England and his mother was from Canada. After being discharged from the Union Army, he began a booming cattle business. Not as much information is known about his partner on the right is named Nick. 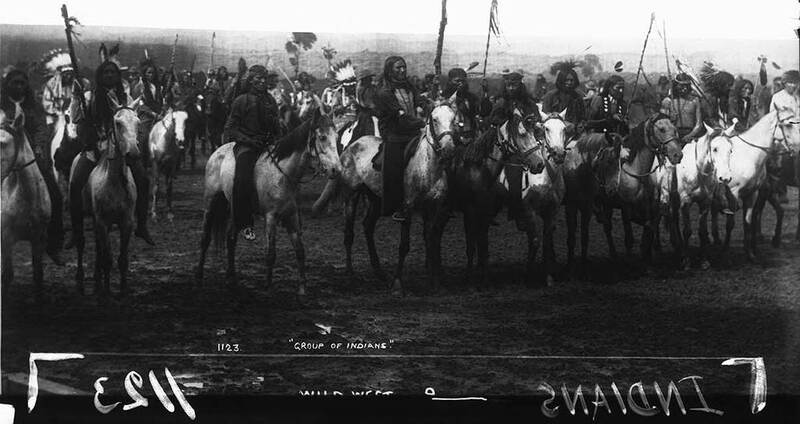 Pictured here is a group of men from the Crow nation lived near the Yellowstone River Valley in the Wild West. The river extends through three states including Wyoming, Montana and into North Dakota. This image was reportedly taken in Montana while this group of men dressed in typical Native American clothing was on horseback at sunrise. The Crow tribe still are a Federally recognized tribe today and they have a reservation in central Montana. As photo taking technology wasn’t quite so advanced in the Wild West, it’s pretty incredible that this perfectly timed photo was taken. 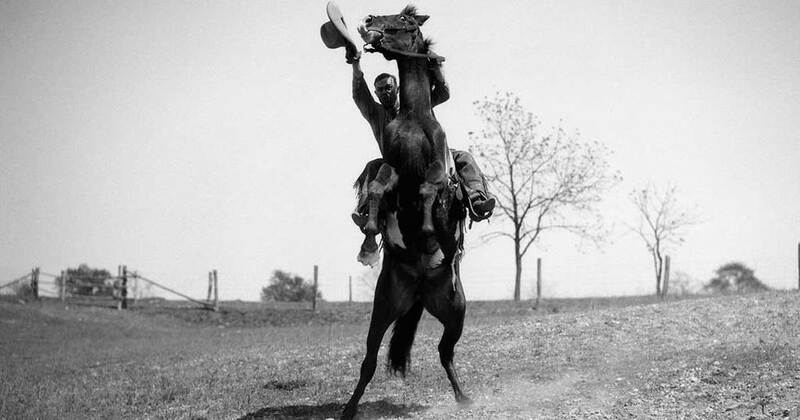 In the early 1900s this man was rearing up his horse, waving his hat and it was all caught on camera. This man looks like he was participating in a land rush as he is so enthusiastic. A land rush the aftermath that occurred when the U.S. government previously restricted land to be sold on a first come first serve basis. While Hollywood may portray the lives of Native American women in a romantic way, in reality there was much more hard work involved. Native American typically maintained the home but in addition to cleaning, they could also build homes and keep the roof of the home intact. They also did such vital chores as repairing shoes and clothes and gathering firewood. 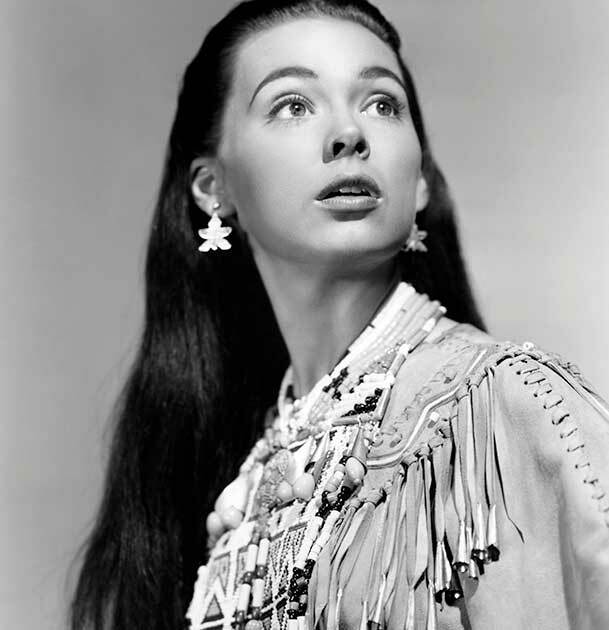 This picture shows Barbara Rush from the 1954 film Taza, Son of Cochise. While we may typically picture a cowboy when we think of a horseback rider, many other groups throughout history such as Native American tribes used horses as their primary form of travel. 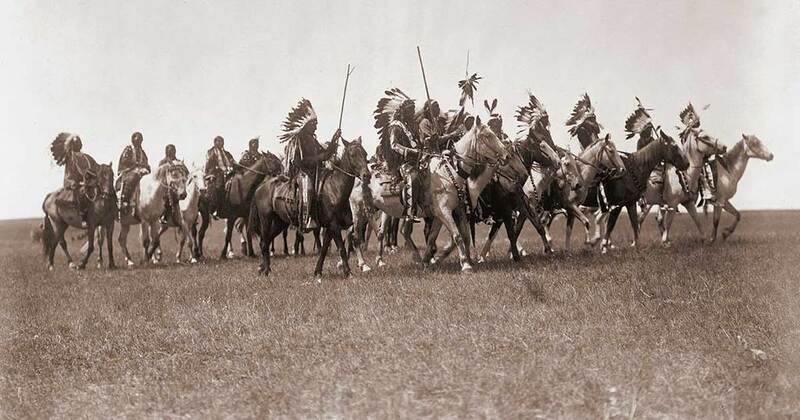 Here we see a large group of Native Americans from the Brule Sioux tribe. 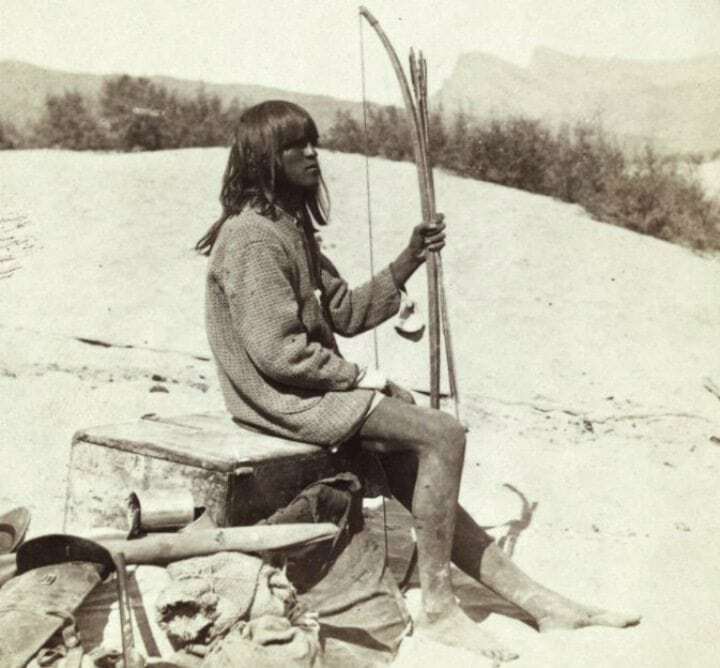 They are a sub-tribe of the Teton Lakota people and they were referred to as the Brule by French settlers. The name is thought to have derived from an incident where they rode through a grass fire on the plains. Since there were so many bank robberies in Wild West towns there must have been plenty of crime stoppers on patrol right? However, this is not the case as there weren’t actually that many robberies occurring. As you can tell from this street (confusingly named Manhattan in the state of Nevada) towns in the Wild West were pretty tiny. This means that the sheriff of a town would only be a few feet away from the bank and it wouldn’t be easy for a robber to plan a great escape. they are actually participating in the show we’ve already mentioned a couple of times, Buffalo Bill’s Wild West Show. 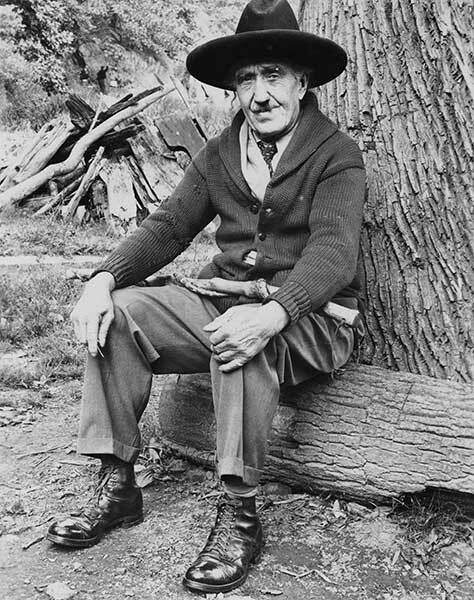 Bill’s show was an open-air theatrical performance that often romanticized the American frontier to audiences. In addition to performers showing off their sharp shooting skills, there are often reenactments of historical events which might be what is going on here. One issue that has been a controversial one for most of American history is the treatment of Native American people. Native Americans have faced challenges and been mistreated throughout history but there is still controversy today about logos and offensive names that include references to Native American people. 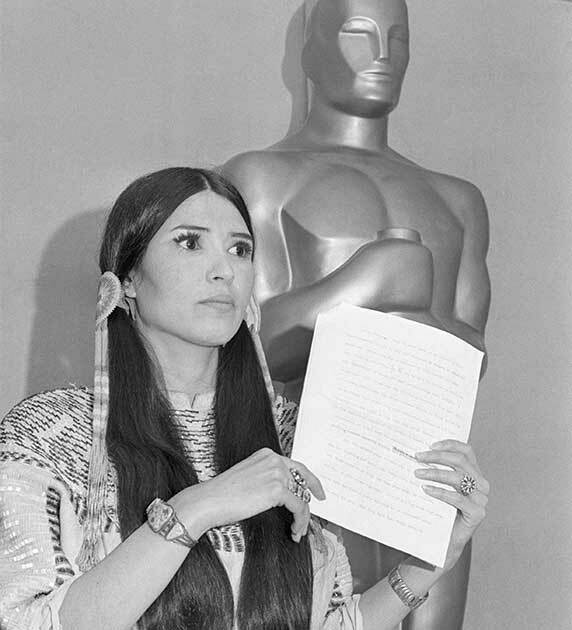 Here we see Sacheen Littlefeather who appeared as an activist for Native American civil rights at the 45th Oscars. She accepted Marlon Brando’s award for best actor as the actor himself protested the ceremony. This is yet another shot of Buffalo Bill’s Wild West Show. 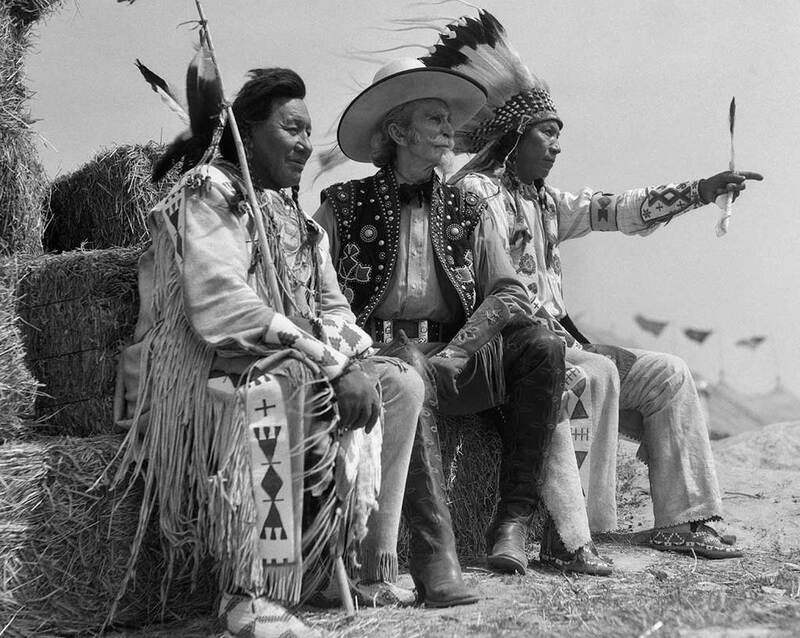 A cowboy sits alongside two Native American men who seem to looking at something interesting off in the distance. It seems that many Native Americans were a part of these shows. They were not, however, portrayed in the best way in the shows as they were often depicted attacking white settlers where the intent was to show their “savage” and “wild” ways. 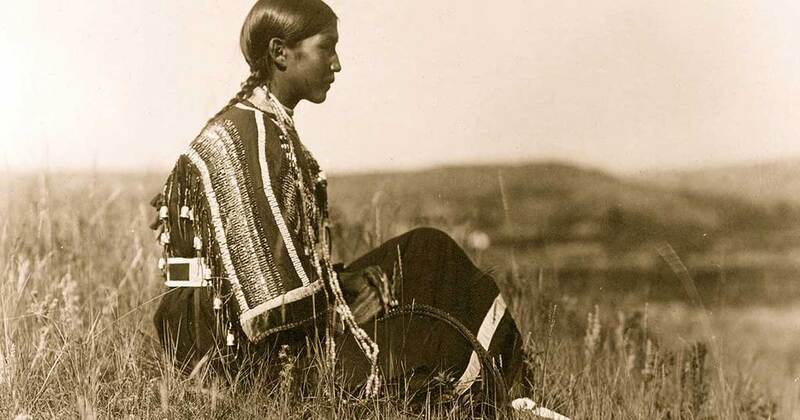 This photo is thought to date back to around 1910 and it shows a young woman from the Piegan people sitting on a hill in a traditional Native American outfit. While women may have had more traditional roles in the new American society, in Native American culture, women were often taught the same skills as their male counterparts. This includes activities such as horse riding, using weapons, skinning leather and cooking. Movies about the Wild West are entertaining but they have also put stereotypes about the time period in our minds. In these movies, we often see empty streets with rolling tumbleweeds and eerie music. 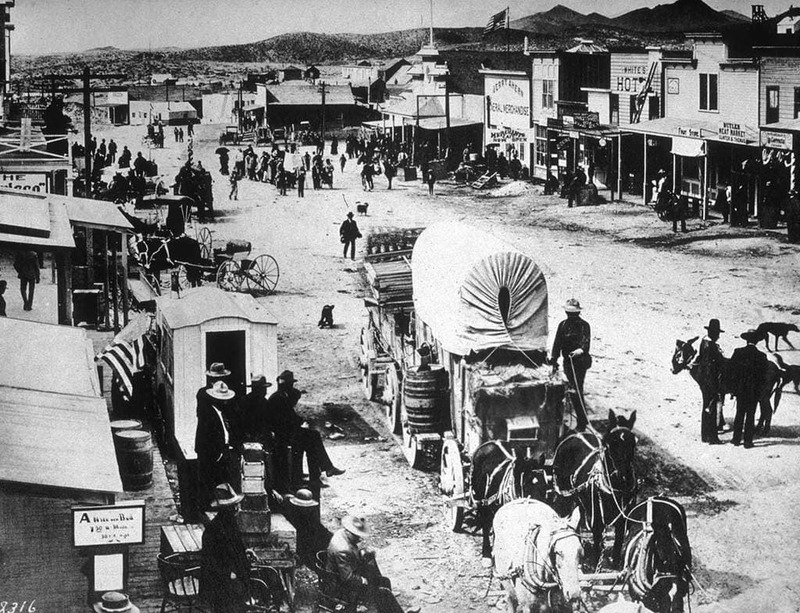 However, from this picture we can tell that Wild West towns were often bustling centers of trade. We can see a trading post where merchants are bringing goods in their wagon to trade and sell. This was like the outdoor mall of the Wild West! Speaking of Buffalo Bill whose real name was William Frederick Cody, here he is picture in 1900. Before there was a football team called the Buffalo Bills the original Buffalo Bill led a performance troupe in the late 19th Century. 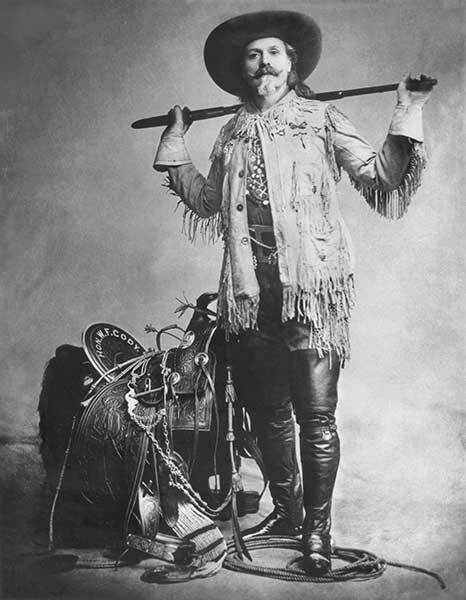 Buffalo Bill had many performers in his crew including Annie Oakley and Gabriel Dumont. They traveled across the country together showing off their talents and they even travelled to England to perform at the Queen’s Jubilee celebration. This photo tells you exactly where it was taken in historic Deadwood, South Dakota. 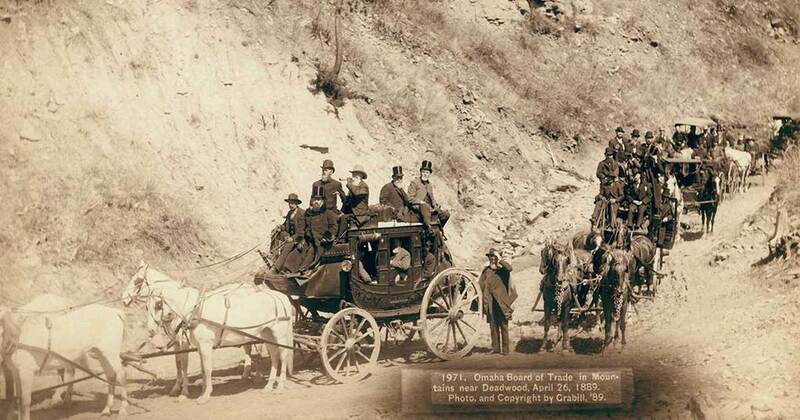 This photo was taken in 1889 and it depicts a procession of stagecoaches that are part of the Omaha Board of Trade. This photo is a part of what is thought to be the largest surviving collection of the world by this early Western photographer. 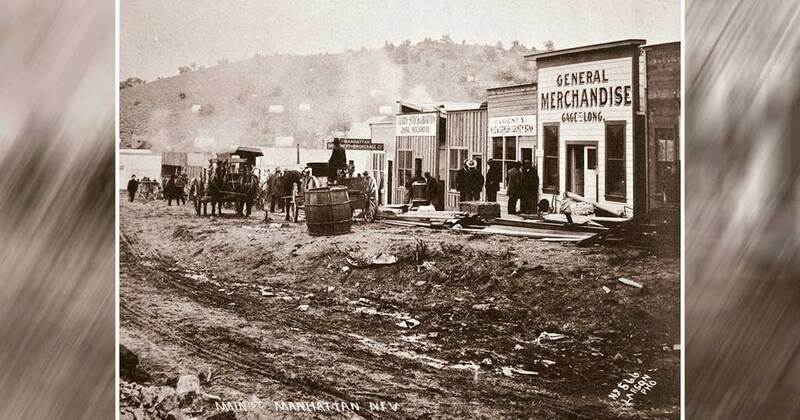 If you have heard the name Deadwood before it might be because of the HBO show which is set in 1870s South Dakota. Based on media and entertainment, most people assume that Native Americans and settlers were often engaged in fierce clashes involving violence. However, that was definitely not always the case. Here we see that is was possible for both Western folk and Native Americans to get along as they all sat down to enjoy a meal together. 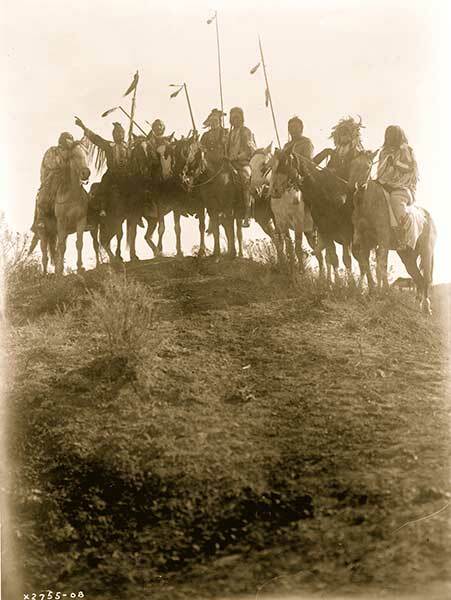 Native Americans were often guides that helped cowboys navigate through the territory and travel on long journeys in the Wild West. While some might think that the West was only inhabited by cowboys, they may be surprised to know that women lived there too! Even more surprising is that some women were just as talented marksmen as the men. 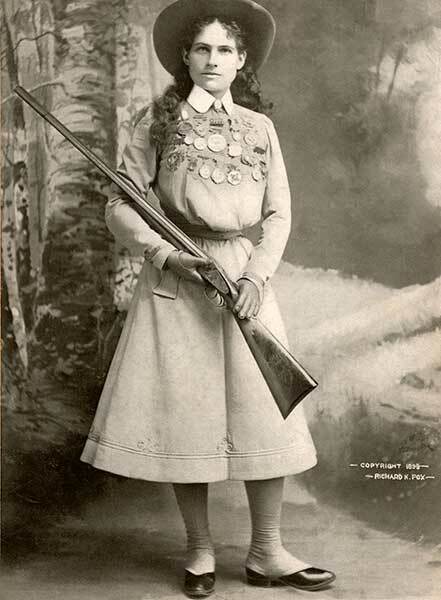 One of those women was Annie Oakley who became a member of Buffalo Bill’s Wild West Show where she showed off her sharpshooting talent. 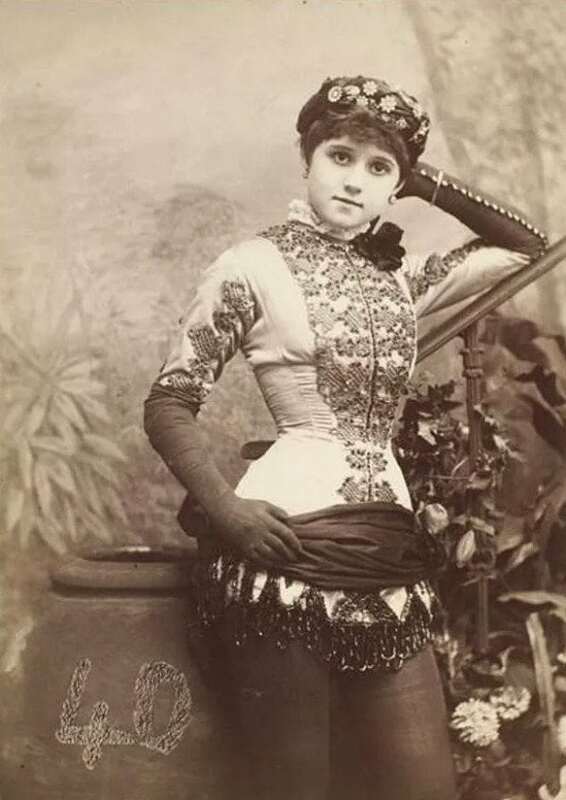 Annie was born at the height in the height of the Wild West in 1899 and died in 1926. Have you heard the phrase, “Circle the wagons?” This was a phrase that was common in the Wild West that most people assume refers to protection of wagons. Many believe that this command was given to settlers in order to protect their wagons and belongings from Native Americans if they approached travelers. However, it is now believed that the phrase was said in order to keep their cattle safe and from wandering off at night. Picture a cowboy in your head and what do you see? Most likely a rugged and handsome man with fringe flying off his jacket and a cowboy hat on his head. However, is that an accurate image? 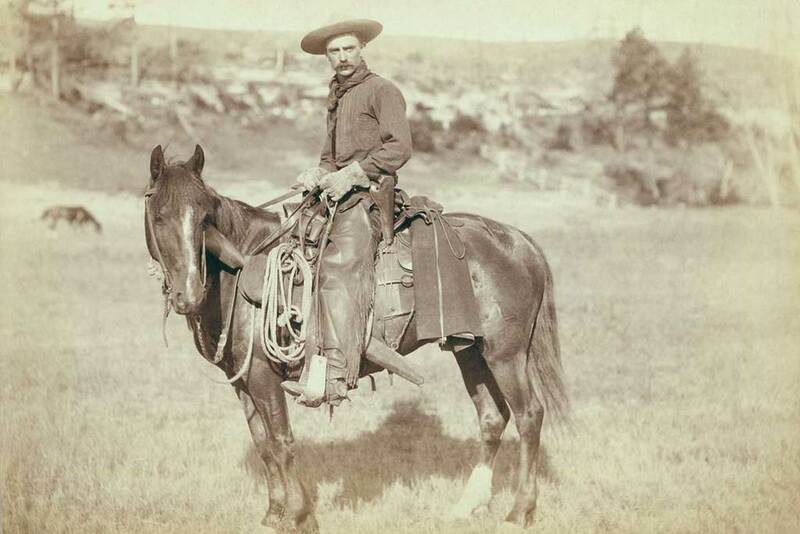 The typical wide-brimmed cowboy hat that we know and love wasn’t popular until the 1870s. Before that, most cowboys opted for a much more practical bowler hat that wouldn’t fly off their heads while trotting around on horseback. In this photo, we see a cowboy holding his hat by his side. 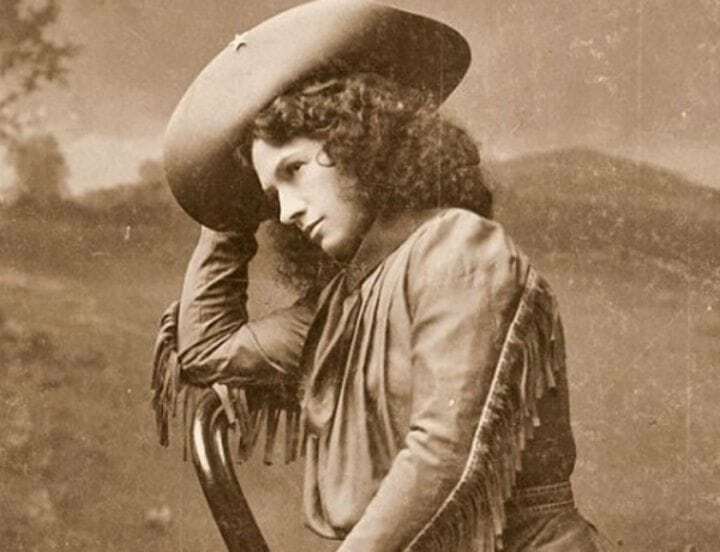 Out of anyone who’s ever come out of the Wild West, Annie Oakley is among the most famous. Even now, her name is mentioned in movies, television shows, and in homes across America. Back then, she was quite famous as a kid for her strong skills as a sharpshooter, a trapper, and a hunter. She garnered these skills because she had to hunt for food after the death of her father. She eventually married fellow gunsman Frank E. Butler. But Annie Oakley wasn’t the only woman back in the old West that could fire off bullets accurately and quickly – there have been a solid history of female gunslingers over the years, and the woman in this picture is one of them. To throw off a few names, there was Big Nose Kate who set a jail on fire to help her husband escape. Other markswomen included the likes of Calamity Jane, Stagecoach Mary, Lillian Smith, and Pearl Hart. As long as we’re on topic of women, we might as well acknowledge the important place of history they held back in the time of the California Gold Rush. There actually weren’t many women there at first, but eventually many more emigrated there because they realized that there was ample opportunity for economic growth. Once there, many of them started families and took a big part in the search for gold, as well as making a name for themselves in other industries too. One popular occupation within the female demographic was in the “romantic liaison” department, if you catch our drift. It was not only a common thing back then, but it was a huge money maker for the women who were willing to work in such a field. For the ones who did, they were given a plethora of nicknames. They were called “ladies of the line,” they were called “fallen angels,” they were called “doves of the roost” – and much more. 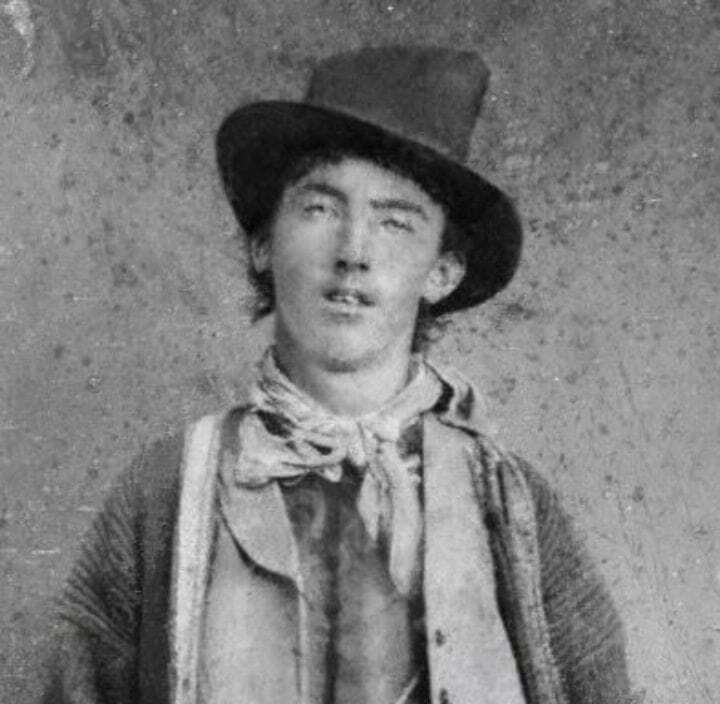 We couldn’t in good conscience talk about the Wild West and not mention Billy the Kid – arguably one of the most famous people from that time. Originally named Henry McCarty, it was said that he had killed at least eight men while he was still very young. 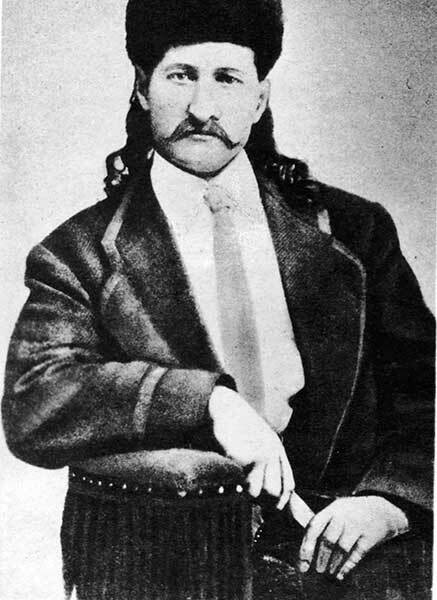 Born in New York City, but residing most of his life in New Mexico, he was eventually put in jail. He was said to have be shot after trying to escape, thus ending the outlaw’s life. This picture has got to be one of the coolest we’ve ever seen. The vintage black and white feel is similar to many of the others we’ve shown you, but it’s what’s happened in the picture that adds to its profundity. 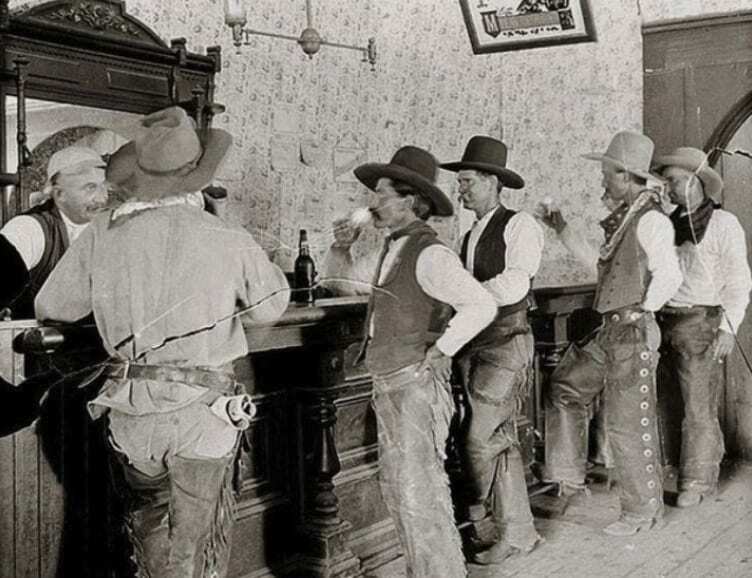 Back in the Wild West, they loved their drinks, and there was nothing better than a bunch of guys meeting up at a bar. It seems that not much has changed since then, but the atmosphere in this picture is as authentic as we’ve ever seen it. Here we have yet another classic gunslinger, one of the most formidable from back then. 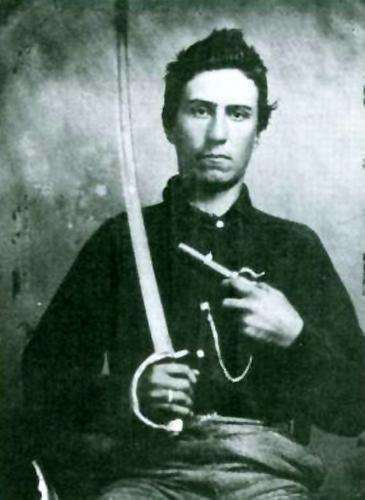 His nickname was Texas Jack (originally named Jack Vermillion), and he was constantly on the lookout for cowboys who were outlawed. He was given another nickname as well – “Shoot Your Eye Out Vermillion” – because of the rumored story that he’d one shot someone straight in the eye. It is said that he also once shot someone during a dispute while playing cards. 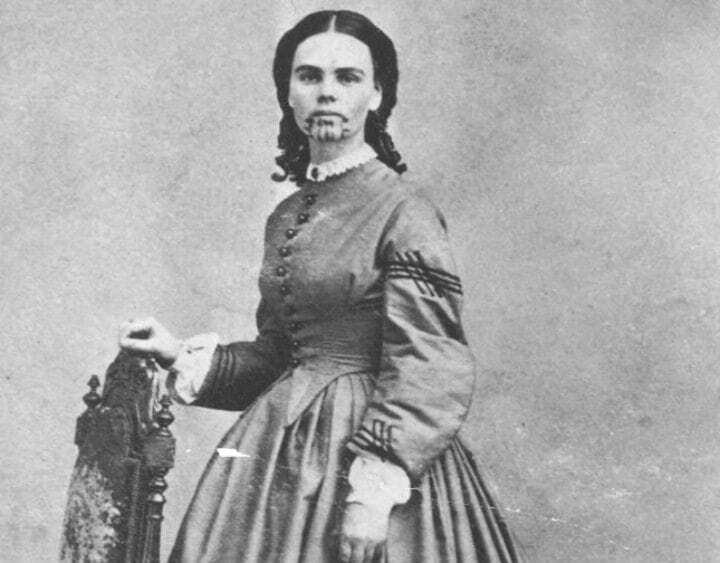 The story of Olive Oatman isn’t the happiest, but it sure is inspiring. When she was only 14 years old, her family was killed by a number of Native Americans, at which point she and her sister were both kidnapped by them. They were then sold to the Mojave people, where they became slaves. This blue tattoo that you see on Olive’s face is a symbol of the slavery she was kept in, and it goes without saying that she was one woman who survived through the ringer. Here’s a picture of Mojave Native American guide and interpreter whose name was Maiman. The photograph was reportedly taken by Timothy O’Sullivan, who didn’t like to take portraits of people in a studio. O’Sullivan preferred to capture his subjects in natural settings, such as the case here. Maiman actually helped O’Sullivan a lot with his work, guiding him towards places where he could find the best pictures. It was a collaboration that yielded some pretty effective results.